In a poster that extolled the benefits of buying a Sears Modern Home, there was a testimonial from an A. Brewer in Park Ridge, who said he saved about $1,500 buying his house from Sears (over $19,000 in today's dollars). A. Brewer's letter. Scan courtesy of Andrew Mutch. A. Brewer included a photo of his Sears Kilbourne. I have never seen those diamond sash windows on another Sears house. Scan courtesy of Andrew Mutch. 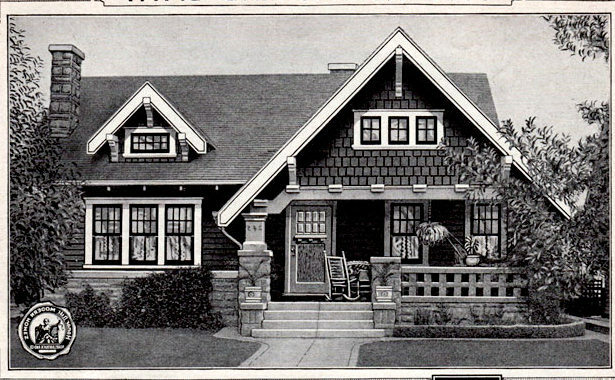 Sears Kilbourne from the 1923 Modern Homes catalog. The Kilbourne has a steep roof slope on the gable over the front porch. The gable is supported by wood posts on brick piers and has exposed roof rafter tails. 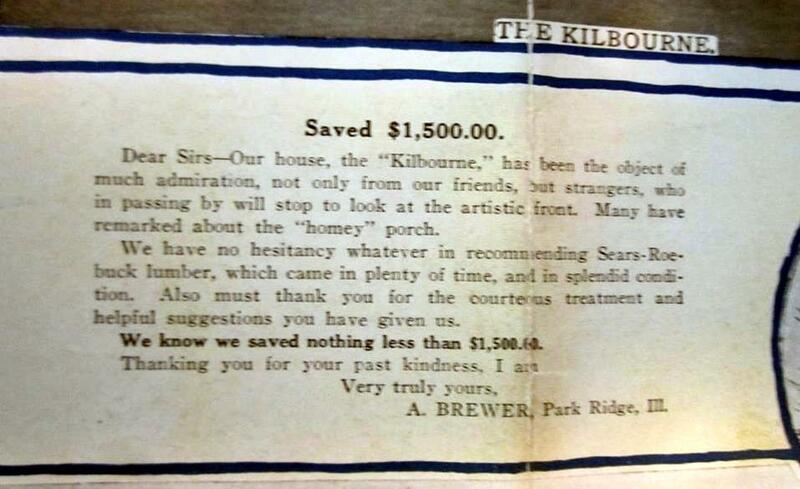 Sears claimed that "The Kilbourne bungalow satisfies every family that has built it." 118 S. Chester, Park Ridge. The Kilbourne looks as lovely today as it did in 1921. The current owners repaired the original diamond sash windows. This Kilbourne in Park Ridge was built in 1920 or early 1921. The original owners were Alfred Brewer and his wife, Flora. Alfred owned a shoe shop. They had moved elsewhere in Park Ridge by 1929. This is really a cool looking house, this Kilbourne. I hadn't really seen it before Andrew and you posted a few photos in the FB group. I'd love to see a nice one like this one, in person. 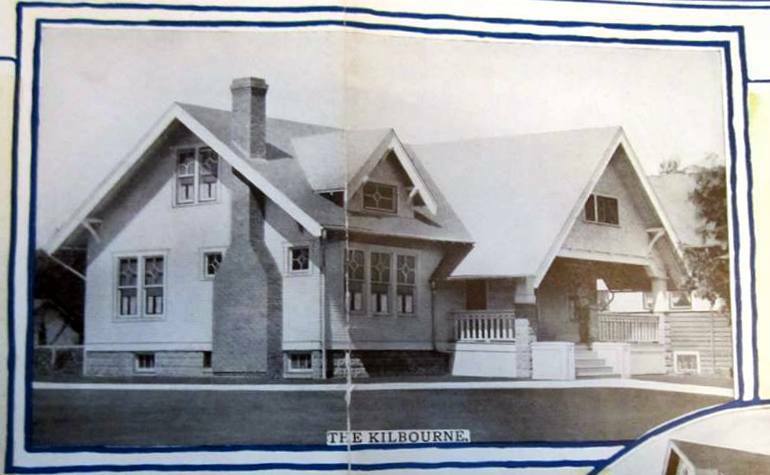 The Kilbourne sold for ten years (1920-1930) so it must have been a good selling model. Strangely, I only know of three in the Chicago area--this one in Park Ridge, one in Evanston, and one in Lombard. They must be hiding somewhere! Hi, Lynn! I don't believe that you have a Kilbourne. The dormer placement is off, the front projection is not the right height, the windows are off. I bet a local builder just used the Sears model as an inspiration. :) Your house is lovely!